365/365. a perfectly appropriate photographic ending to 2015 and my 365 project. after practice, we’ll end 2015 the same as 2014, going to bed early to get up at 5:45am for early morning new year’s day hockey tournament. stay safe, ya’ll. see you on the flipside. day 4136 – 301/365. practice makes perfect. or at least, one hopes, incrementally better. looks like odin’s team mates have all progressed with their skating skills, but even more so than in previous years i think their success in the upcoming season will depend on their ability to play as a team. odin’s waaaaaaay off in the background in the green jersey. day 3991 – 157/365. hockey goes on and on and on. after a brief reprieve from traveling 35 miles 3 times a week for hockey, we’re back to traveling 35 miles once a week through august to watch odin run drills in at the green island ice arena in la crosse ( he’s in the red socks on the right ). 105/365. 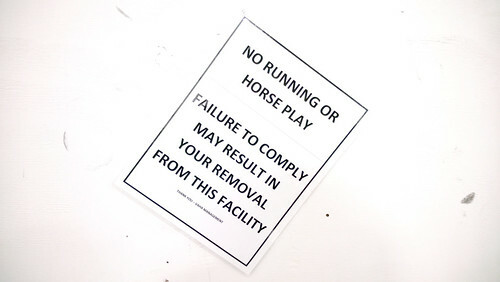 a sign you might be in a hockey arena. 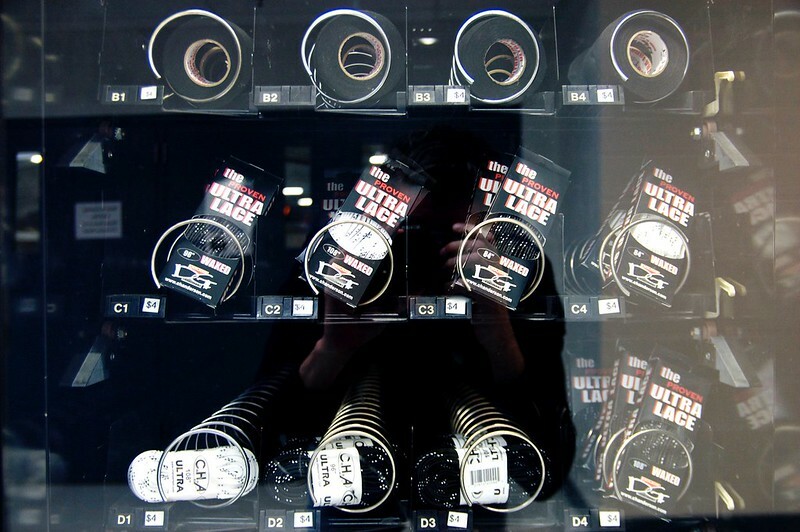 the vending machines are filled with hockey tape and laces. i couldn’t not do it. pondering the odds of winning the “chuck a duck” lottery. twice. 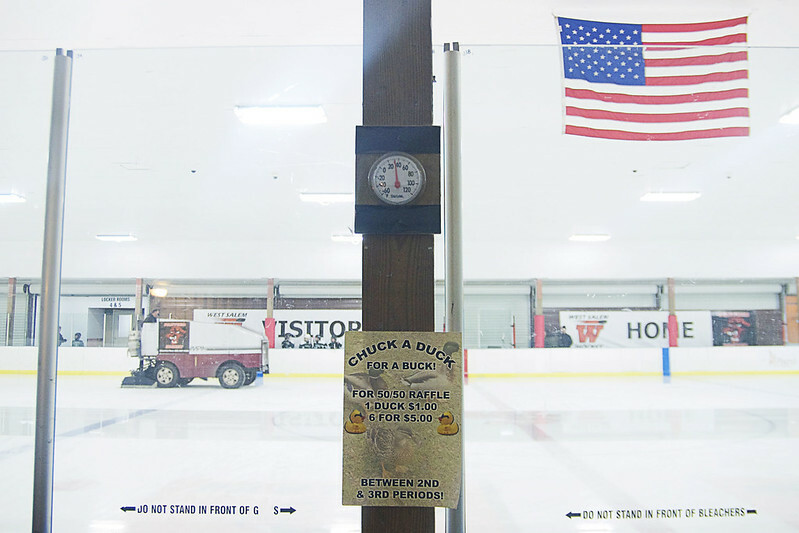 if you’ve ever been in a hockey arena, you’ve probably encountered the “chuck a puck” fundraiser which is a type of 50-50 lottery. 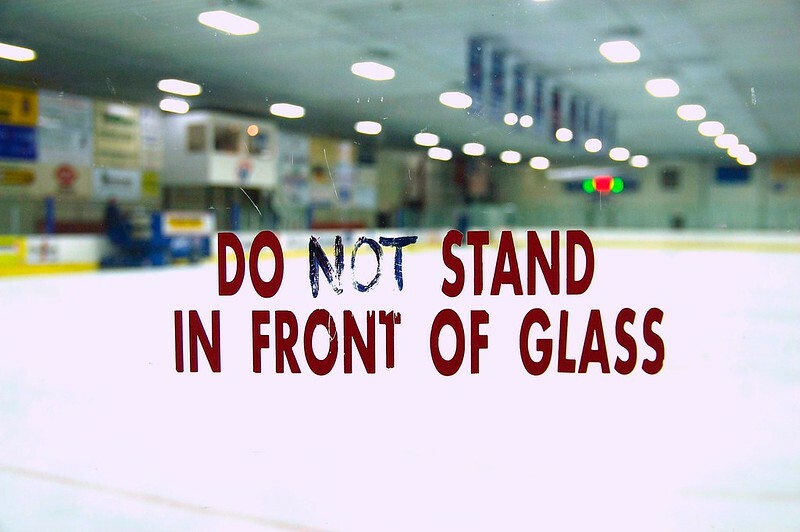 you buy pucks to throw on the ice in-between periods. 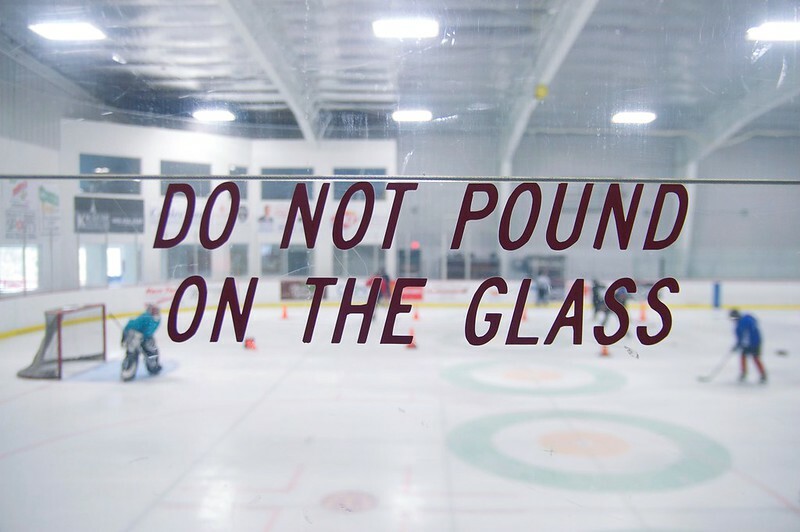 the closest puck to center ice wins 50% of the take and the hockey association takes the remaining 50%. i usually never participate, as i find we donate enough money to the association via concession stand sales and i tend to avoid gambling when i have a very low chance of winning as there is usually a puck chucking savant in the crowd who has chucked way more pucks than i have and stands a much better chance of winning. 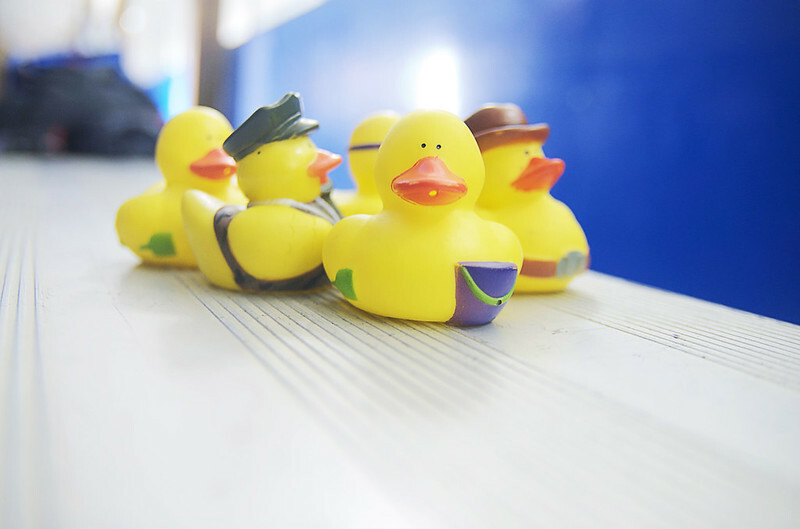 i was amused to see at a tournament in west salem, wisconsin that the association had introduced a bit of randomness into the lottery by handing out rubber duckies. i thought it was a brilliant way of “evening the odds” – who could possibly predict and account for the “funny bounce” the duck would inevitably take? turns out, one guy won two of the four “chuck a duck” lotteries ( and a separate conventional ticket raffle )! someone smarter than i can calculate the odds on that.